In a large mixing bowl, combine Einka flour and salt. Add eggs and mix well. Gradually add milk and 1¼ cups water, whisking vigorously to prevent lumps. Add butter and whisk until smooth. (These ingredients may be combined in a blender and processed for 1 minute.) Cover and refrigerate for at least 1 hour. Stir well before using. Place a baking sheet in oven and heat to 175 degrees. Dampen a dish towel with warm water and set aside. Lightly oil a 6- to 8-inch lightweight skillet or crepe pan. Place over medium heat. When pan is warm, lift from heat, then pour in ¼ cup crepe batter while tilting pan so batter coats bottom evenly. Return to heat and cook until lightly browned underneath, about 2 minutes. Turn and cook other side about 1 minute. Place finished crepes on baking sheet in oven and cover with damp towel. Remove crepes from oven. 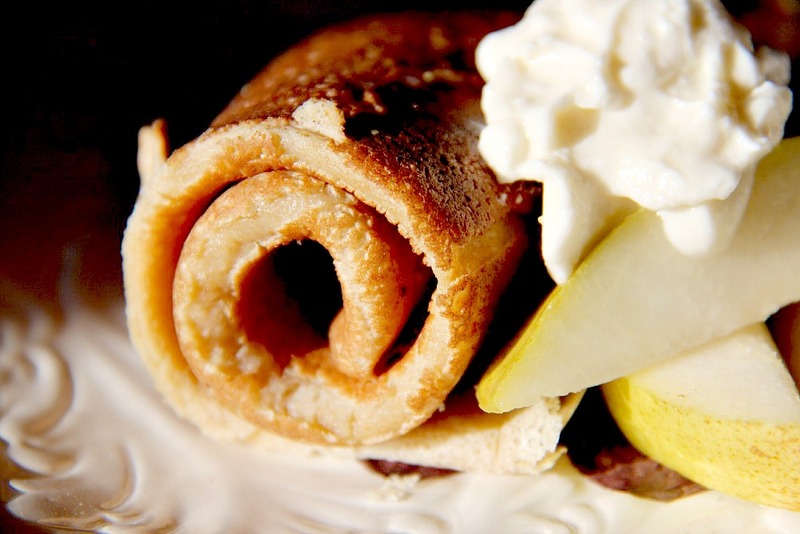 Roll or fold crepes and top with fresh fruit and crème fraîche or your favorite topping. Serve warm.